Somehow I managed to get through my entire childhood and adult life to date without having head lice – but that run of success came to a grounding halt this week – yikes. After spending the Easter weekend at the beach I noticed Miss Six scratching repeatedly, however despite checking thoroughly through her hair I could find nothing so assumed it was perhaps simply a build up of too much salt, sand and sunscreen. When she was still scratching the next day however – and I still could not find anything in her hair – I decided to take the ‘precautionary’ approach and treat for nits … just in case! A quick trip to the chemist revealed shelves packed to the ceiling with ‘nasty chemical’ head-lice treatments (and not a cruelty free label on any of them). 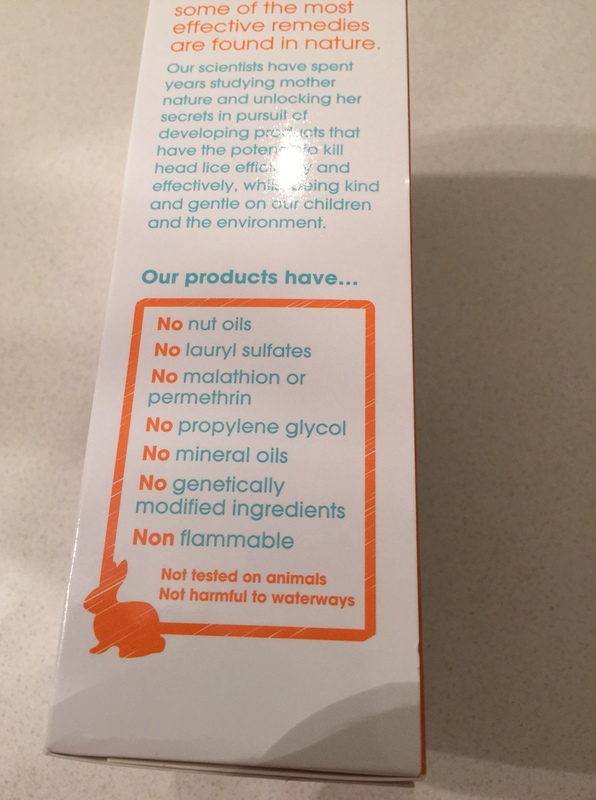 My hope of finding anything not tested on animals (and naturally based) was fading, but then down at the bottom I found Quitnits – a natural range, developed in Australia, with no nasty chemicals and NOT TESTED ON ANIMALS! Happy days! I picked the Quick Nits complete Head Lice Kit which contains the Once Only Treatment and Detangling Spray, along with a head lice comb. The Once Only Treatment is simple to apply – it just needs to be massaged into the hair – and because there are none of the usual nasty chemicals you don’t even have to wear gloves. It then has to be left in the hair for a minimum of four hours and then simply washed out. The directions say that you don’t have to comb through the hair after treating – but we did it anyway just to make sure. The combing takes a bit of time – as you have to work inch by inch – and it was all looking clear until the final section when I combed out what looked like a small black sesame seed. But when I put it on the bench (and then took a photo with my iPhone so I could zoom in for my aging eyes) it was clear this was indeed a singular louse – albeit a thankfully now deceased one – ewwww! This treatment was now no longer precautionary – there were officially lice in the house – YIKES! Family treatment was now in order. 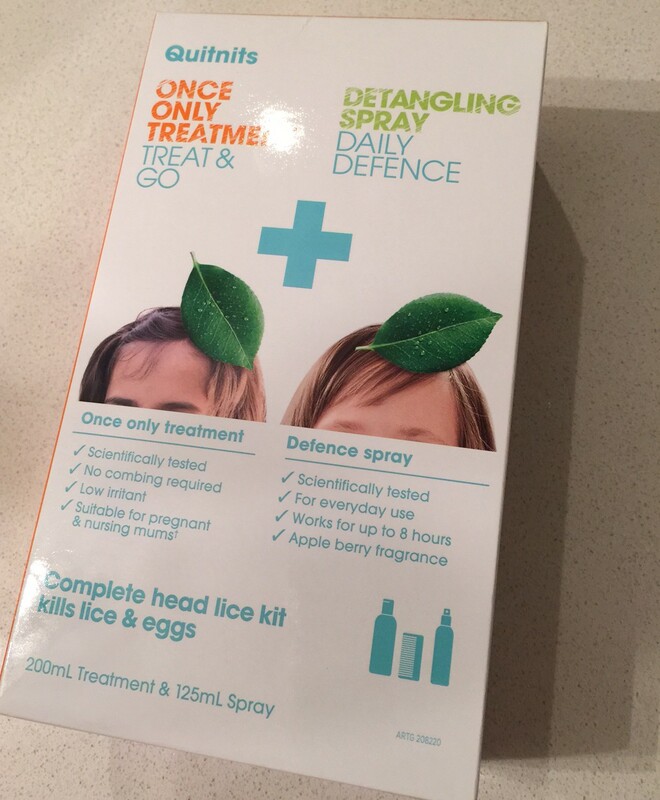 The second item in the kit is the detangling spray which can be sprayed into hair daily to ‘defend’ against head lice. It has an apple berry fragrance which is quite pleasant, but for some reason this spray makes both little miss six and I cough when I spray it. We’ll be using it everyday from now on!